The Forgotten have found a home in Germany! Our friends over at CnCHQ.de were kind enough to host the German edition of The Forgotten mod's website, which launched today. If your native language is German and you're a Forgotten fan, be sure to check it out! They have translated all of our information about The Forgotten's units, buildings, and upgrades -- plus The Forgotten's story. 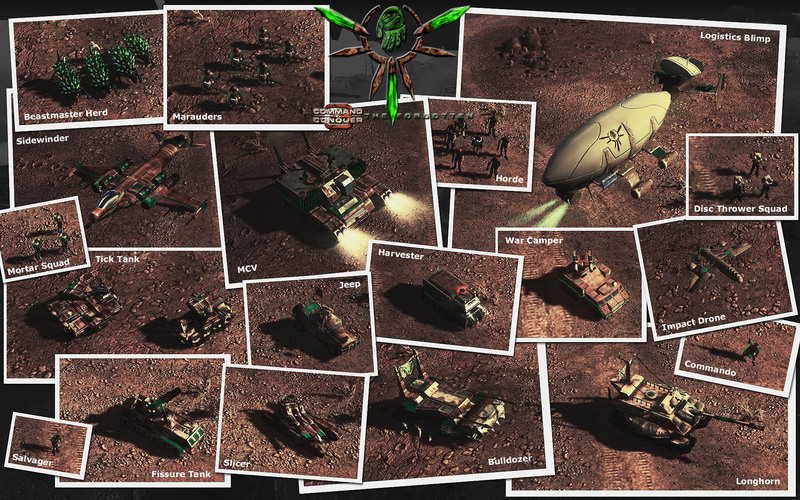 C&C 3: The Forgotten V1.0 Available for Download! For more than the past three years, we've imagined, designed, and built this mod, for no compensation save the joy of creation. It truly has been a global project, with contributions from over 38 people from all over the globe (and 40 more testers). Now, it's our profound pleasure to share the result with you. It is no exaggeration to say that we have worked for this day for years. With pride at what we have accomplished and humility because of our great fans, we present our launch trailer. 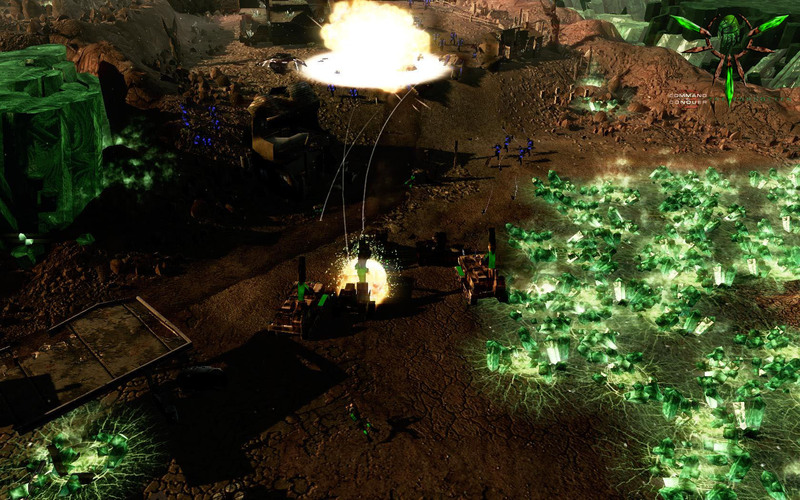 Our mod tells the story of The Forgotten, a group legendary in Command and Conquer lore from their appearances in Tiberian Sun and its expansion Firestorm. 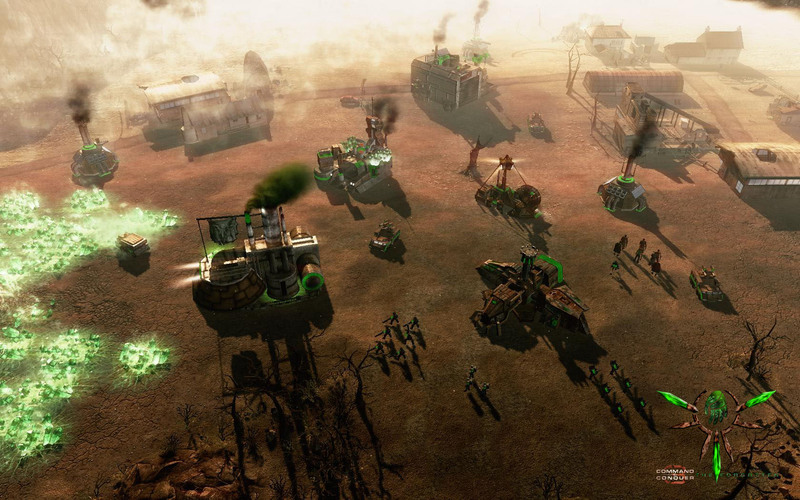 Afflicted with Tiberium-based illnesses, their determination, resourcefulness, and shared anger make them a potent threat to the superpowers that have shunned them for so long. Yet after C&C Firestorm, their fate remained uncertain, as their story was never continued in Command and Conquer 3. We have sought over the last three years to rekindle their tale, enlivening it with high definition full motion videos (produced in conjunction with the talented team at Broken Wall Films), a unique set of units and structures, and an immersive campaign replete with a variety of beautiful environments and challenging missions. 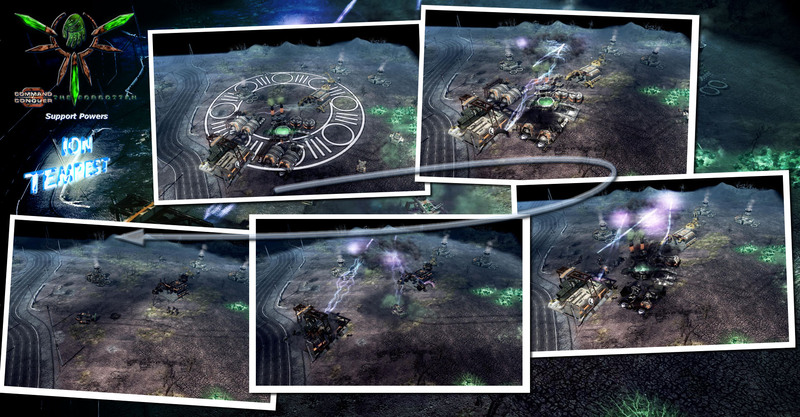 To further enhance replay value, we have created five additional battlefields for skirmish and online play. 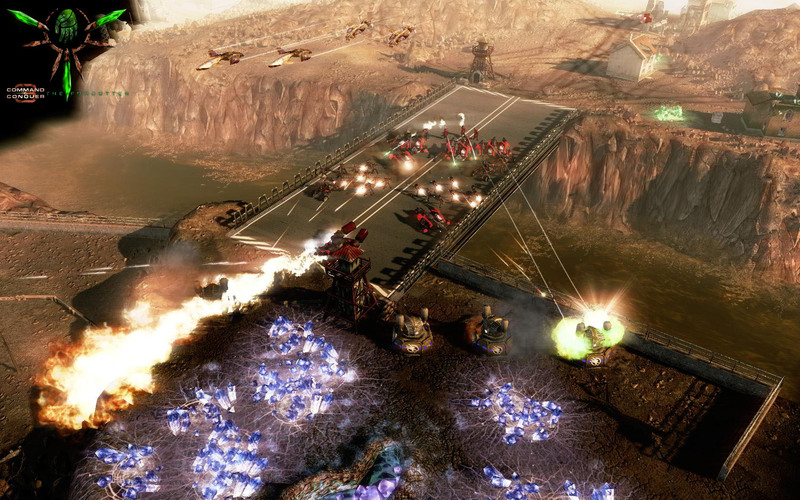 If you are looking for a return to classic RTS gameplay, if you want to dive into a C&C story, or if you think you're ready to face some of the most challenging missions out there, this is the mod you've been waiting for. The leader of The Forgotten, Salvadore Trogan, is fond of saying, "The future is to be invented." And so it is. We invite you to step into Trogan's world, to become his right-hand man, and to lead a rebellion like none other. It will not be easy. Indeed, whether The Forgotten can win against three powerful superpowers--whatever winning means--is an open question. One thing is certain, however: they have no intention of being neglected, ignored, and shunned any more. Indeed, they no longer want to be The Forgotten. It is time to invent the future. Download now. 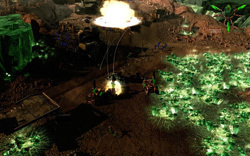 The Return of Classic Tiberium in "The Forgotten"
Just two days before the release of C&C 3: The Forgotten, we're ready to reveal one of The Forgotten's coolest support powers, the Blossom Tree. The Blossom Tree Support Power provides a secondary source of income for The Forgotten. 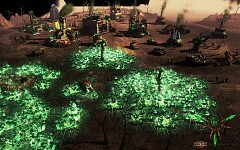 It enables The Forgotten to plant a Blossom Tree, as seen in Tiberian Dawn, on the battlefield. 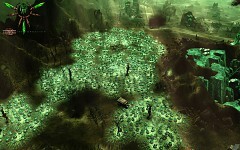 The Blossom Tree grows classic Tiberium, which is worth less than modern Tiberium, but which regrows faster. The model and texture are by Tsumetai. Just two more days! We hope to have an interview for you tomorrow, then the launch trailer and mod will be available on Tuesday. It's time to let the world know The Forgotten are back! As we approach release of C&C 3: The Forgotten--8 days to go!--we're showing off our new faction as a whole. 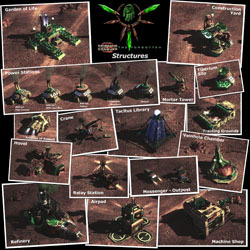 In this update you can see all of the units and structures that comprise The Forgotten, together and labeled. You can also see one of the previously unknown support powers, The Ion Tempest. Available once a Tacitus Library has been constructed, it enables The Forgotten to create devastating Ion Storms anywhere on the battlefield. Want to see more? 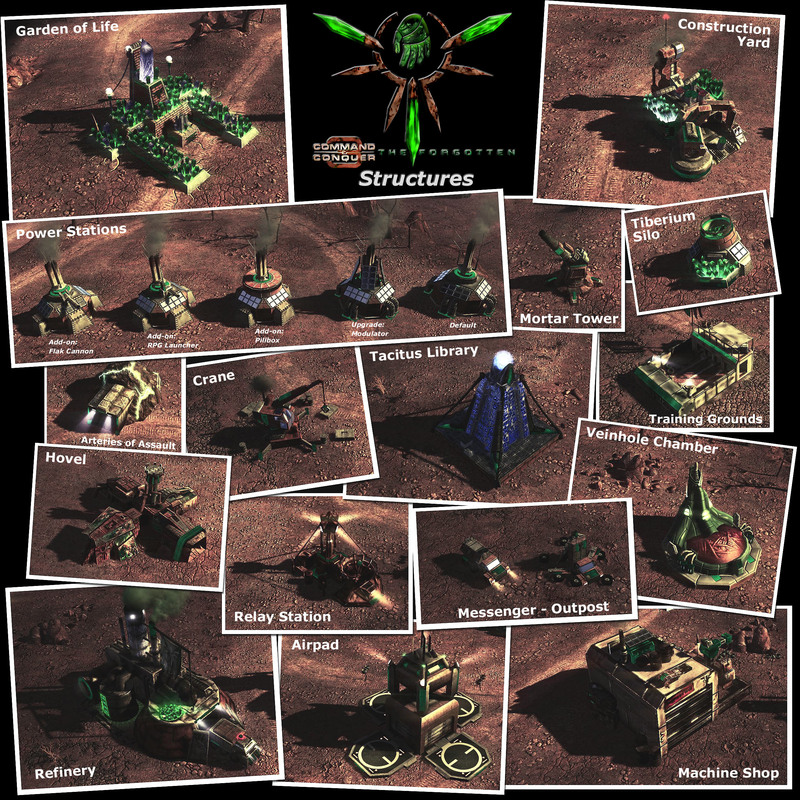 Check out our brand new unit, structure, upgrade, and support power pages--created by webmaster extraordinaire Mike--and learn more about the army you'll be leading into battle just over a week from now. If you're an longtime fan of this mod, keep checking back because your wait is nearly over. 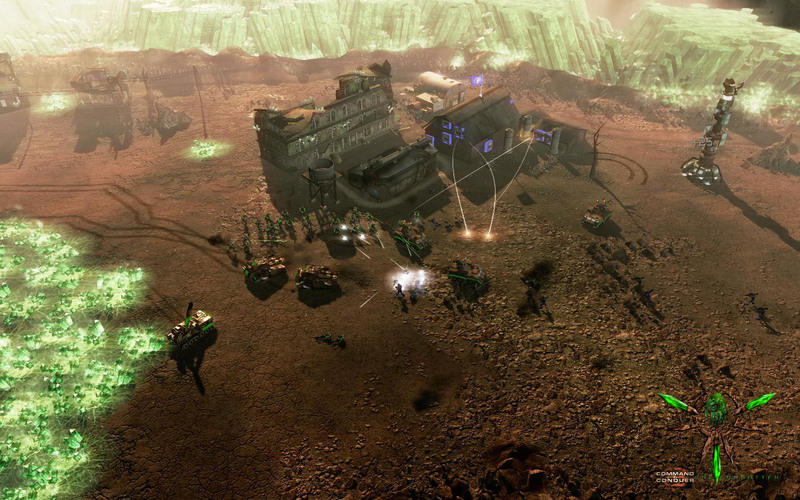 If you've never heard of us, now is a great time to jump onboard and learn about our project to tell a true Command and Conquer story. We've got lots more to show to you this week, including images of The Forgotten's super weapon in action, one of the other neat support powers, maybe an interview or two, and--before long--the launch trailer. Last edited by Phe0n1x on Monday, September 13, 2010 at 3:29:49 PM. At C&C 3: The Forgotten, we continue to march towards our release goal of September 21st, just 12 short days away. Today you can see four new screens from mission 2--a great three faction battle created by Predatore, Drummin, Phe0n1x, and myself. We're also ready to show our new tech structure. 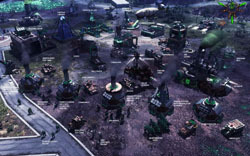 The Upgrade Center, by Tsumetai, is replaces the Hovel in C&C 3: The Forgotten. 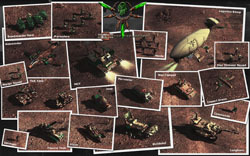 When captured, it grants the player the choice of 3 different free "upgrades:" one each for speed, armor, and firepower. 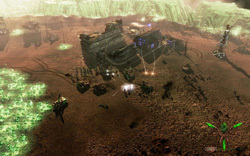 The upgrades provide a 10% bonus in the respective category to all of the player's forces. 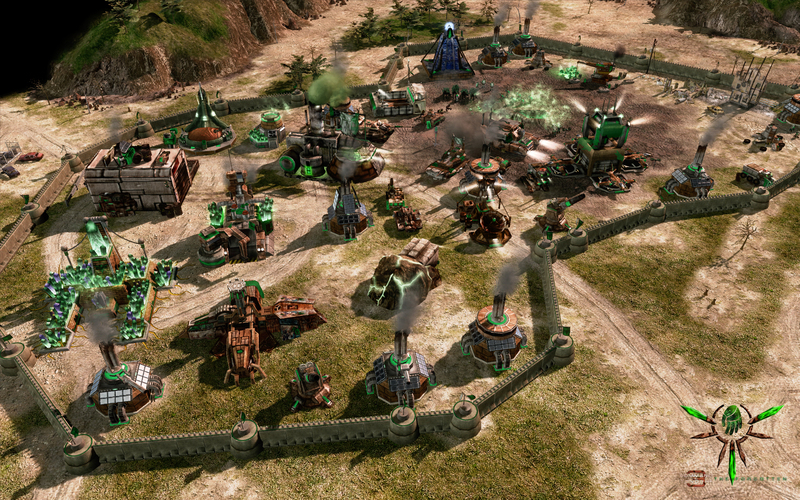 Tsumetai also created the Fortification, walls that can be built by The Forgotten in skirmish and multiplayer modes. The drumbeat of progress continues on--the final stretch is a great time for this mod, and we're excited to be able to give it to you real soon. Next time, we'll have a great set of images for you of The Forgotten's superweapon, the Veinhole Chamber, and before you know it, it'll be time for the launch trailer!